Why are people with diabetes at increased risk for heart disease ? With changes in the way we lead our life style, it is common for people to get diabetes in the present world. If you have diabetes you are two to four times more likely to develop cardiovascular disease than people without the diabetes. Although people diagnosed with diabetes often focus on controlling their blood sugar levels, it is highly essential for them to keep track of symptoms they might have for cardiovascular diseases and hence the need of management of cardiovascular disease (CVD) is equally important. CVD otherwise known as Heart disease is typical in people with diabetes.CVD includes heart diseases (i.e. heart attacks), peripheral vascular disease (PVD) and cerebral vascular disease (i.e. strokes). What is Cardio vascular disease (heart disease) and why it occurs in People who have Diabetes? The most common source of heart problem in a person with diabetes is hardening of the coronary arteries or atherosclerosis,which is a result of cholesterol build up in the blood vessels that supply oxygen and nutrients the heart. When the cholesterol plaques ( a wax like substance ) can break apart or rupture, it makes blood clots and blocks the blood vessel, preventing oxygen and nutrients from getting to the heart .This can result in a heart attack and other cardiovascular diseases like stroke, high blood pressure, angina (chest pain), and rheumatic heart disease.Having diabetes or pre-diabetes puts you at increased risk for heart disease and stroke. 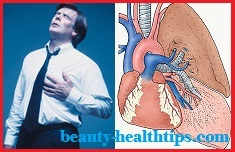 How to prevent and lower the risk of heart disease ? First and foremost is, if you are a diabetic ,then you need to keep in control your blood sugar level to normal or manageable range. (The normal level for glucose is usually 70 and 150 mg. These levels are typically lowest when waking up, and rise following meals. We have to do with the things that generally people find difficult to be good about. Things like living a healthier life, maintaining an exercise regime and being less stressful in our work. So get ready to work your way out to a healthier heart. With all these within no time you will realize that you are living a heart healthier—and maybe even love yourself being healthy and happy in general !